House MD. It is menyeberang, cross stitching portrait. Wallpaper and background images in the House M.D. 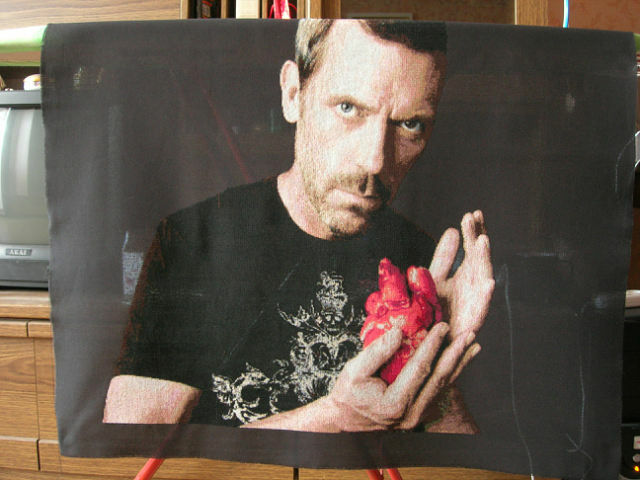 club tagged: house md house dr gregory house hugh laurie. This House M.D. photo contains tanda, poster, teks, papan hitam, and chalkboard.